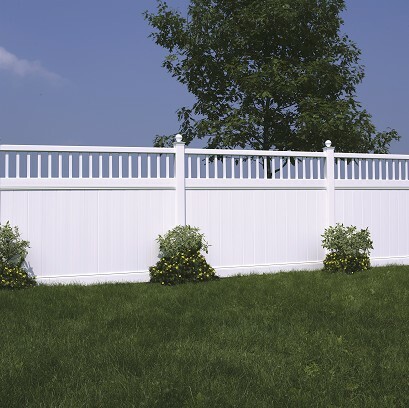 Chesterfield Vinyl Fence with Victorian Accent by Bufftech | Discount Fence Supply, Inc.
Bufftech Chesterfield privacy fence is backed by outstanding lifetime limited warranty coverage, including our exclusive SureStart™ protection. 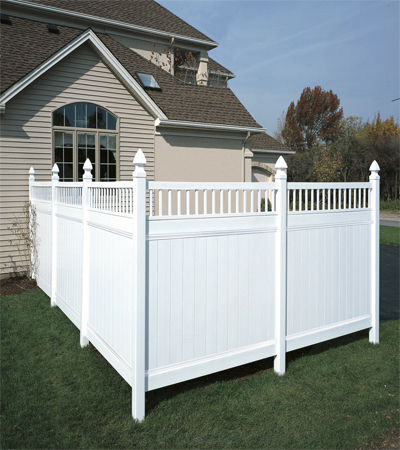 SureStart covers warranted repair and replacement costs - including labor - for a period of five years after installation. 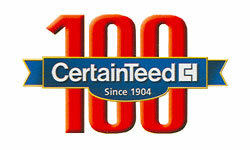 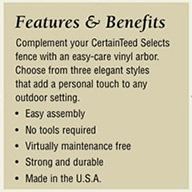 CertainTeed warrants to the original homeowner/consumer that its Bufftech vinyl fence products will be free from manufacturing defects - including peeling, flaking, blistering and corroding - when subject to normal and proper use.